hey man, you’re a sight for sore eyes! Chuck Joy of Erie, Pennsyl;vania, has authored All Smooth (Destitute Press) and Key West Quartet (Edinboro Book Art Collective). He has read at every Snoetry, the Confluence, two International Festivals, The Erie Book Store, Poets’ Hall, Mac’s Backs, and Woodlawn Diner. His new chapbook, Every Tiger Wants To Sing, is now available from Poets’ Hall Press. See and hear Chuck this July 7th 2014 during the Monday at Mahall’s Poetry & Prose series in Lakewood, Ohio. she says, Can you imagine? Chuck Joy authored All Smooth (Destitute Press) and Key West Quartet (Edinboro Book Art Collective). He has read at every Snoetry, the Confluence, two International Festivals, The Erie Book Store, Poets’ Hall, Mac’s Backs, Mahall’s 20 Lanes and Woodlawn Diner. His new chapbook, Every Tiger Wants To Sing, is now available from Poets’ Hall Press. Chuck Joy authored All Smooth (Destitute Press) and Key West Quartet (Edinboro Book Art Collective). He has read at every Snoetry, the Confluence, two International Festivals, The Erie Book Store, Poets’ Hall, Mac’s Backs, Mahall’s 20 Lanes and Woodlawn Diner. Chuck Joy authored All Smooth (Destitute Press) and Key West Quartet (Edinboro Book Art Collective). He has read at every Snoetry, the Confluence, two International Festivals, The Erie Book Store, Poets’ Hall, Mahall’s 20 Lanes and Woodlawn Diner. He’ll also be at Mac’s Backs in Cleveland Heights March 29. 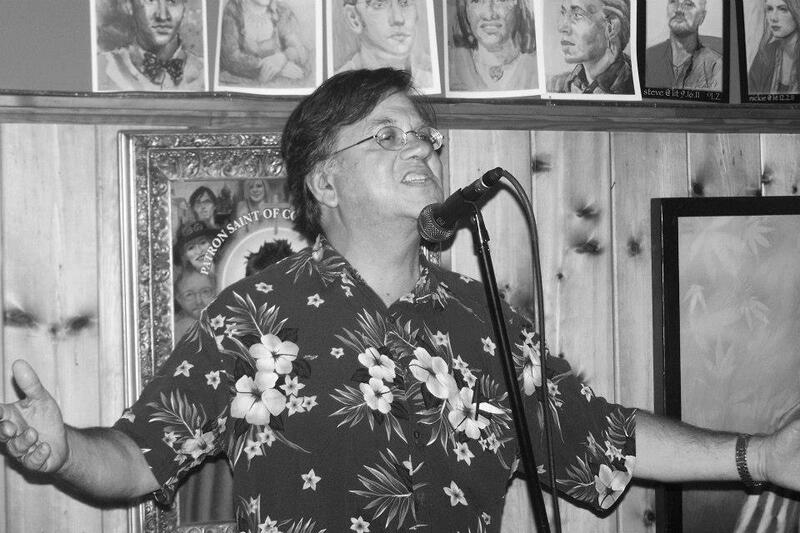 Chuck Joy is a northwestern Pennsylvania poet, co-creator of Poetry Scene at the Erie Book Store, chairman of the Erie County Poetry Committee, and co-chair of the Art Committee for the American Academy of Child and Adolescent Psychiatry. He is also the author of Dreamville and Furthur and partner with Kurt Sahlmann in Enhanced Poetry, including for their CD Live @ The Jive!